Designed for smaller speakers and studio monitors. 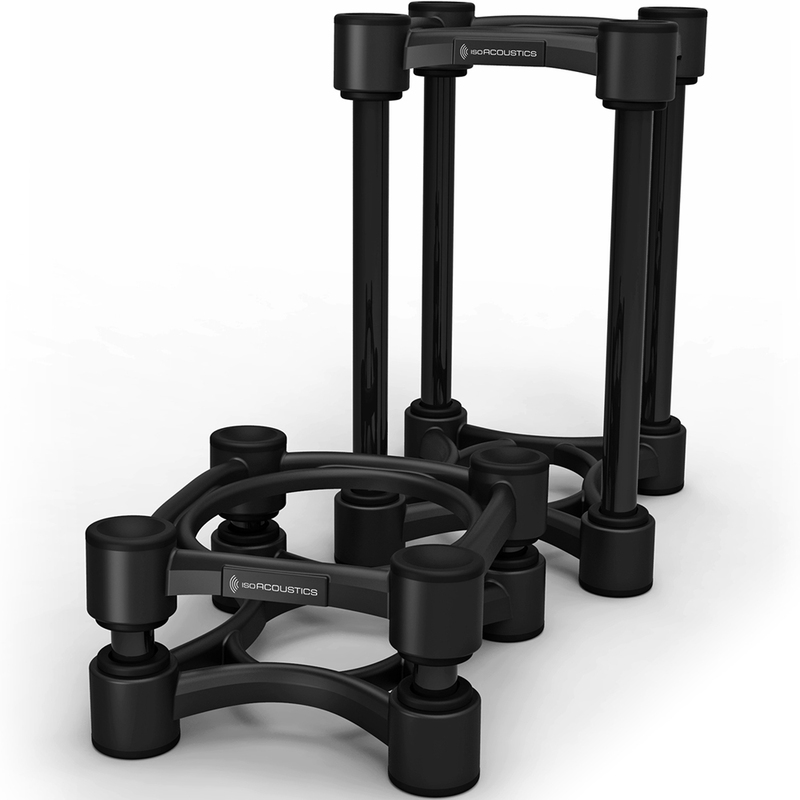 These IsoAcoustics ISO-130 stands provide 14 variations of height and tilt to optimize speaker placement and performance. Isolate your studio monitors from the supporting surface and allow them to breathe so they can deliver the clearest and most accurate sound possible.